Commonly asked questions about the condition of Dry Eyes and about the VISMED® range of products. How can I get VISMED® products? Our How to get VISMED page will answer your questions; alternatively just click on any of the "Buy Online" buttons on this website to order online. Can I get VISMED® products on the NHS? VISMED® single dose vials, VISMED® MULTI, VISMED® GEL and VISMED® GEL MULTI are available on NHS prescription. Please ask your GP. You can print off this leaflet and take it to your GP for discussion and consideration. VISMED® Single Dose, VISMED® MULTI (both old and new versions), VISMED® GEL and VISMED® GEL MULTI are preservative free. 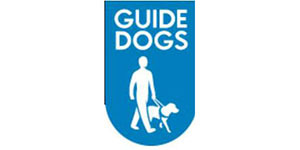 Our "Preservative-free Eye Drops" page has more information. For how long will the VISMED® MULTI bottle be sterile after opening? Both the new 'Just squeeze' bottle and the older version of VISMED® MULTI, as well as the recently launched VISMED® GEL MULTI, will remain sterile for up to 3 months after first use. Which contact lenses are suitable for use with VISMED® eye drops? VISMED® eye drops are suitable for all types of contact lenses, both hard and soft. How do I use the VISMED® MULTI or the VISMED® GEL MULTI bottles? Please refer to the Vismed Multi product page. What is the difference between VISMED® and VISMED® GEL? The difference is the concentration of sodium hyaluronate. VISMED® contains 0.18%, VISMED® GEL has a higher concentration of 0.3% for a longer lasting effect. My VISMED® single-dose vials (minims) look as if they contain less then a previous version. Has there been a reduction in content? We have recently received a number of enquiries from VISMED® and VISMED® GEL users asking if the volume of solution in the single use eye drop minims has been reduced. We can assure all our customers that, while the shape of the minim has been marginally changed to improve content flow, the amount of solution in each individual minim remains exactly the same- 0.45ml for VISMED® GEL and 0.3ml for VISMED®. What is the difference between VISMED® and VISMED® MULTI? There is no difference in the concentration of sodium hyaluronate, both products contain 0.18%. Why do VISMED® products also contain citrate? VISMED® patented formulations contain sufficient sodium citrate as chelator to maintain the calcium ions in solution, thus preventing the precipitation of calcium phosphate and retention in the cornea. Why do VISMED® products also contain electrolytes? The electrolytes in VISMED® are similar to those in natural tears and support the nourishment of the cornea. "Sjögren's Syndrome" is a recognised chronic autoimmune disease. "Autoimmune" means that the body's immune system attacks tissues and substances normally present in the body. In "Sjögren's Syndrome" the white blood cells attack those glands in the body which produce moisture, including tear glands. The result is an inability to produce tears in the eyes, thus resulting in painful dry and itchy eyes. 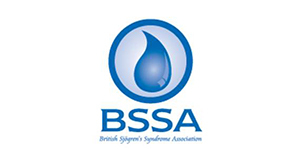 For further information and support please visit the website of the British Sjögren's Syndrome Association.